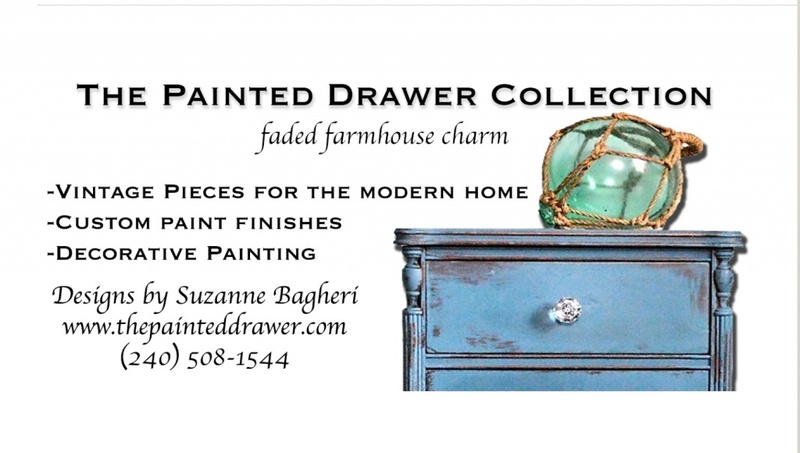 The Painted Drawer offers custom paint services including pick-up and delivery within the DC metropolitan area. Each piece is painted by hand using a brush – no spray painted finishes. Since each item is hand painted it may have natural imperfections due to the hand painting process and/or the age of the furniture. This is what makes each piece beautifully unique. The paint applied is either Annie Sloan Chalk Paint or General Finishes Milk Paint, depending on aesthetic desired. Each piece is sealed for a durable finish. Material is included in the quoted price, as well as the initial consult on color choice selection and finish. Additional costs include new hardware, dark wax application, hand painted detail and color washes. 50% of the cost is due at the time the contract is signed. Projects typically take between 1-4 weeks to complete. *Shipping is a separate cost to be determined by location, amount of stairs and if any dismantling and/or assembly of furniture is required by the shipper. Shipping cost to be paid directly to shipper.